Another way to solve this is by looking at the equations graphically. 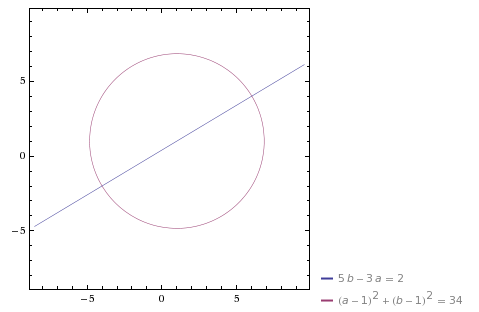 When you plot the two equations, you can see there they intersect. You can plug the answers into both equations to confirm that they are both true using these two values of a and b. 2x-5y=9 and 3x+4y=25. Solve by the method of elimination. If you subtract the second equation from the first, you can eliminate x and you are left with -4y = 68. 12 out of 1000 women at age forty who participate in routine screening have breast cancer. 880 out of 1000 women with breast cancer will get positive mammographies. 90 out of 1000 women without breast cancer will also let positive mammographies. If 100 women in this age group undergo a routine screening, about what fraction of women with positive mammographies will actually have breast cancer? What is 9/10 of 80? This is equal to 72. 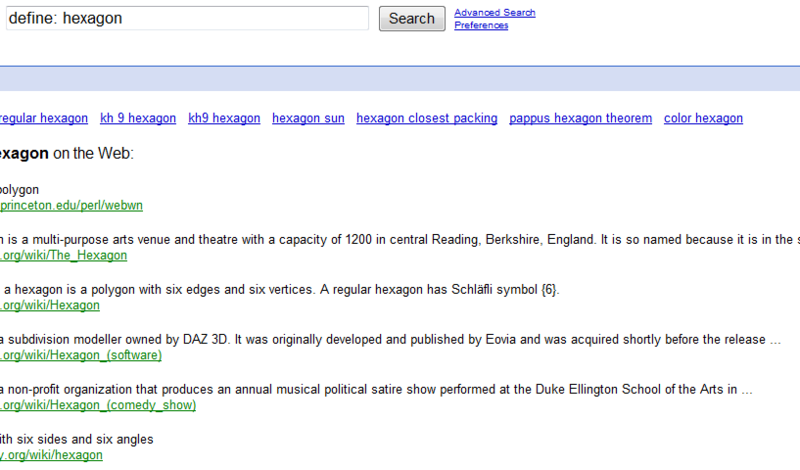 What is the name of a 6-sided polygon? I had 48 marbles in my jar. I lost 1/8 and gave 1/6 to my best friend. How many marbles were left in my jar? First write down the two equations and then pick several values of x and use those values to calculate the corresponding values of y. 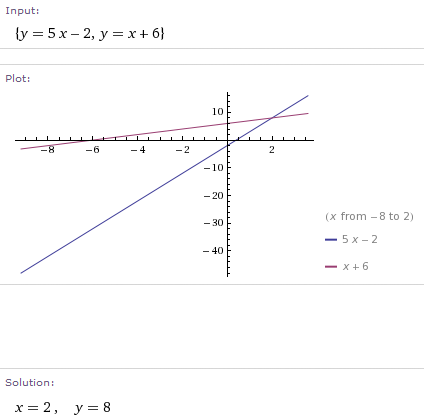 You can use the x,y pairs to then plot each line. You will see that the two lines intersect at 2,8 =i.e. 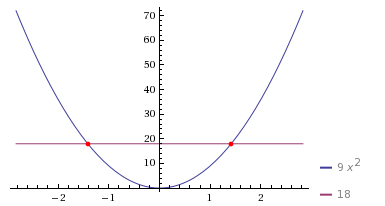 x=2 and y=8).